This is another motorcycle in Josep's collection that this very very very special - and has never been seen before. ​Thanks also to Santos for the photographs. 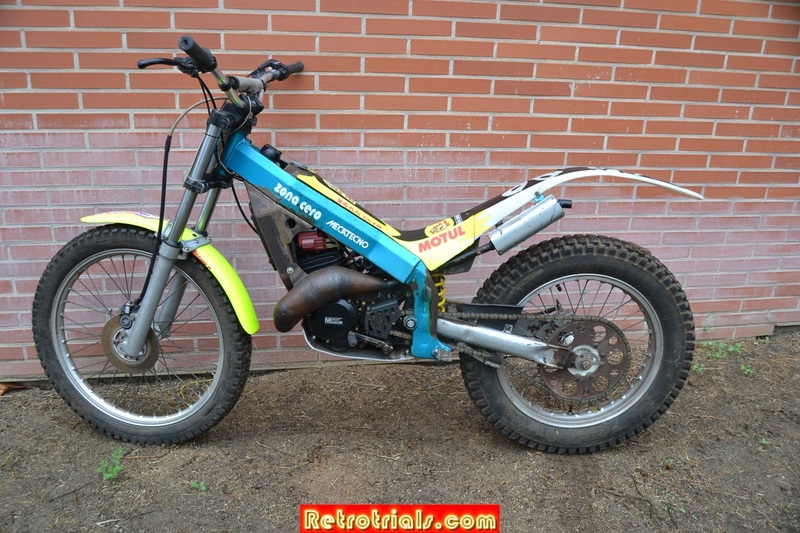 Mecatecno is of course well known for its childrens motorcycles as well as its adult trials bikes , including the iconic Dragonfly model. 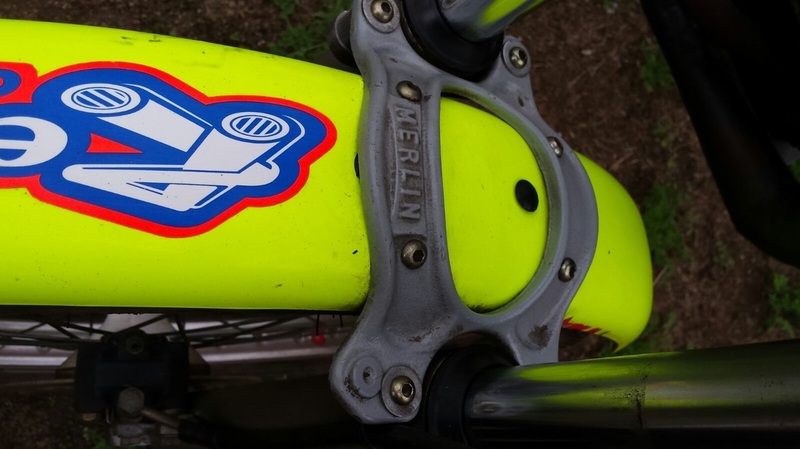 Following Retrotrials' several interviews the company owner Jordi Rabassa , employees and factory riders a conclusion was reached that the company ceased trading in around 1994. 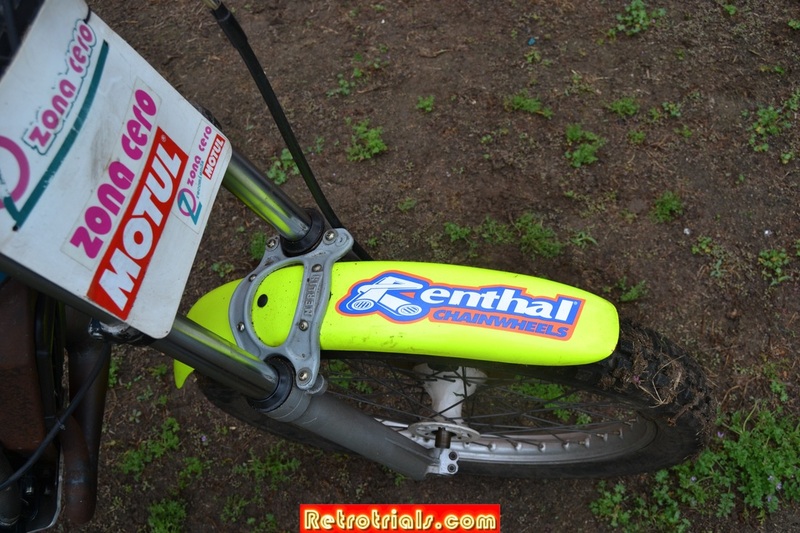 The last model Mecatecno adult trials bike was made in 1989 - 1990 .Faced with an incredible race to keep up with the evolution of the trials machines , Mecatecno it was thought abandoned the trials project and concentrated for the last 4 years making children's motorcycles , and rebadging bikes from the far east. 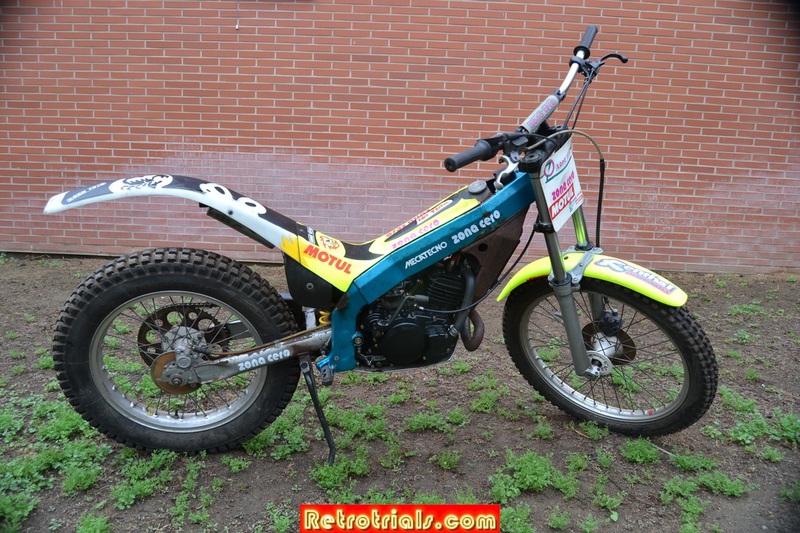 It was therefore amazing for me and other enthusiasts to hear from a close friend of Retrotrials Josep Argerich that he had discovered another much later model ---- and it was watercooled !. Christ almighty !!. KNOCK ME OVER WITH A FEATHER . ​Joan Ruiz started his career as mechanic to Spanish God Multi World Champion and Derbi rider Angel Nieto. 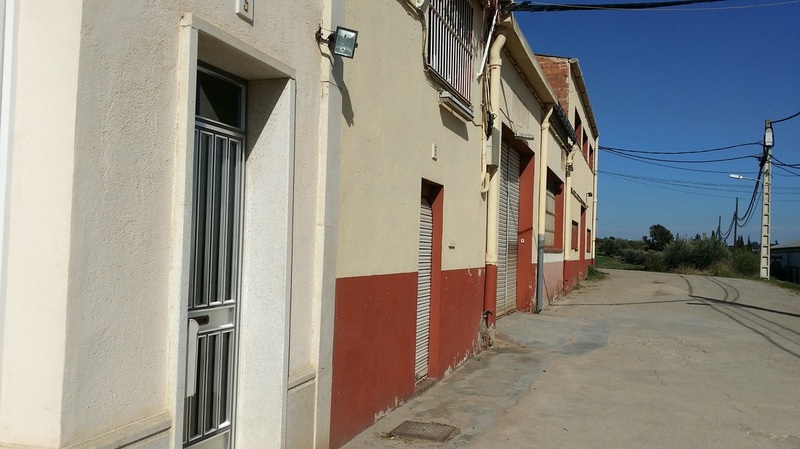 After moonlighting for a while with Mecatecno , in 1982 Joan left Derbi and joined his former boss Derbi competition manager Jordi Rabasa at the new firm Mecatecno. 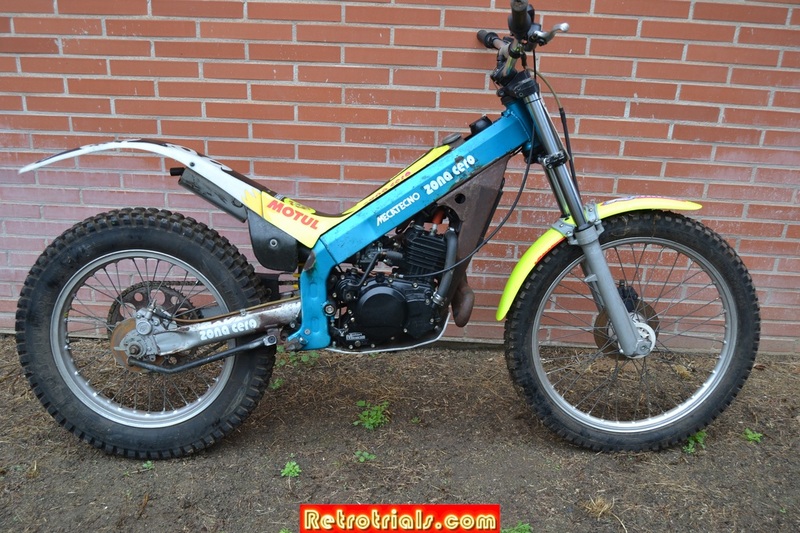 This had been started by Jordi in 1979 in the rear garages of his family home and made childrens motorcycles. As chief factory mechanic , builder of the prototypes , motorcycle assembler and minder to Lluis Gallach , Joan saw and worked with everything at Mecatecno. However in 1993 Mecatecno's business was suffering. The company faced increased competition from other manufacturers in the children's motorcycle category. Trials machines had been long forgotten as the cost involved to keep up with the machines evolution was prohibitive for such a small company. 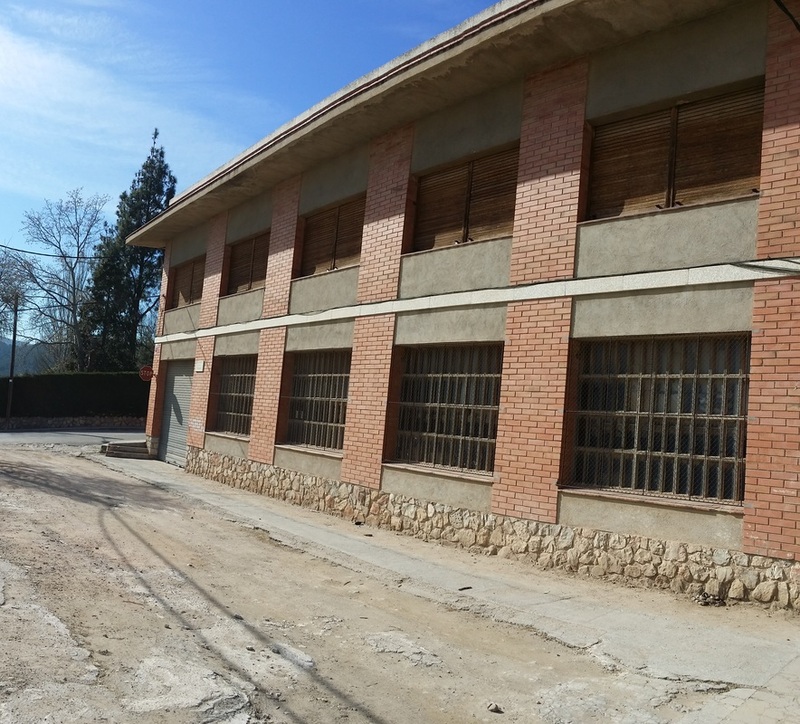 Faced with staff payroll problems Joan left Mecatecno in 1993, and moved to Metrakit performance parts located in Caldes de Montbui as a director . Metrakit designed , manufactured and sold after market parts for small capacity motorcycles. These parts were sold World wide. I certainly recall them being sold in the Uk. Joan himself specialised in thermodynamics (expansion chambers). Joan's wife Margarita continued to work at Mecatecno as the office administrator . 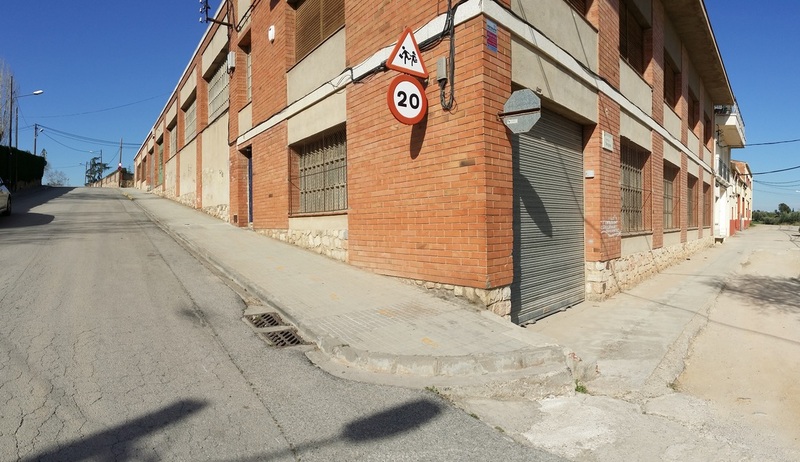 These are the Metrakit premises in Caldes , near Barcelona. In late 1996 Jordi Rabassa told Margarita that he would like to speak with Joan. Joan went to Mecatecno and met Jordi Rabassa , his old boss . Jordi told him that he found a new family investor for Mecatecno and that they were prepared to invest money in the company and that the future lay in the production of new motorcycle models. And here it is. The motorcycle that only a few people knew about untill very recently. The very first photos of the watercooled Mecatecno prototype. Personally i think the lines are beautiful. The geometry looks bang on perfect. 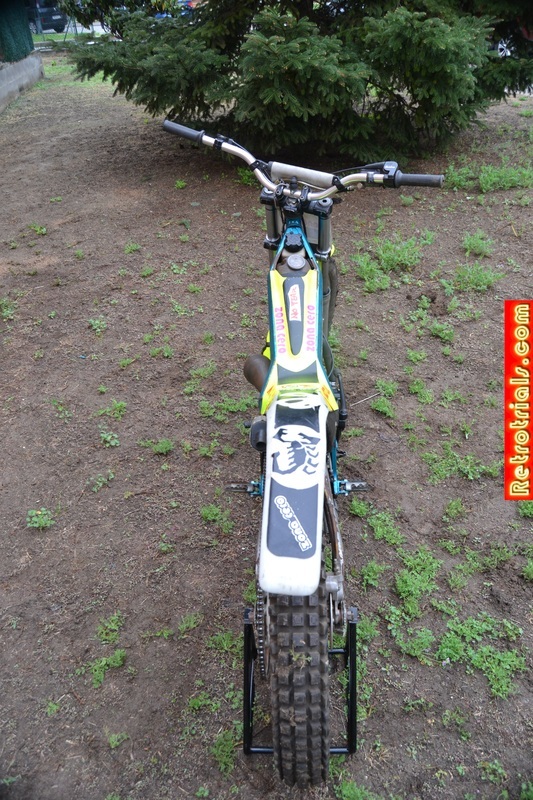 It has a chassis which resembles in style the Montesa 315 and the Yamaha TYZ. I think that this bike would have handled well and steered very nicely due to the steep steering angle. Joans work with expansion chambers has been used to great effect here , as you can see. 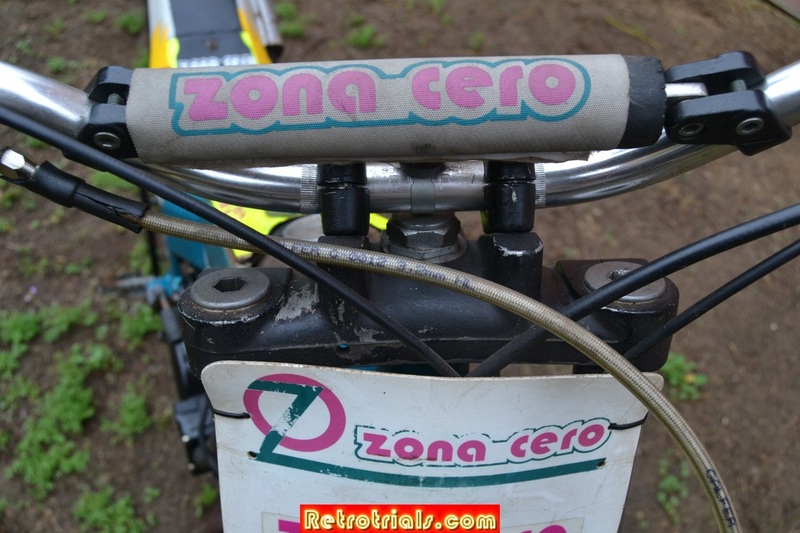 The expansion chamber is very unusual for a trials bike. A large chamber as near as possible to the cylinder head produced more bottom end power. Joan developed this bike himself at the Mecatecno factory . Initially it the plan was to make the bike for Jordi Pasquet who was a successful and upcoming rider. However at this time ,problems were never far from Mecatecno's door. From July through to September Joan's salary was not paid by Mecatecno .With both his and his wife Joan's income reliant on Mecatecno salaries , Joan had to choice but to consider other employers. He telephoned his friends as GasGas one day and the next day he was working there in the research and development department. Margarita stayed with Jordi Rabassa at Mecatecno for a few months more. Note the 1985 Merlin gallach replica cast alloy front mudguard stay. The mudguards were originally red . They were changed to this dayglo by Jose Alcaraz .